Our own Pam Rodden participated in the Lady Bass Anglers Association tournament at Old Hickory Lake, Tennessee May 10th and 11th, 2013. Neither cold, rain or a dip in the lake could deter Pam from making her mark in the tournament. 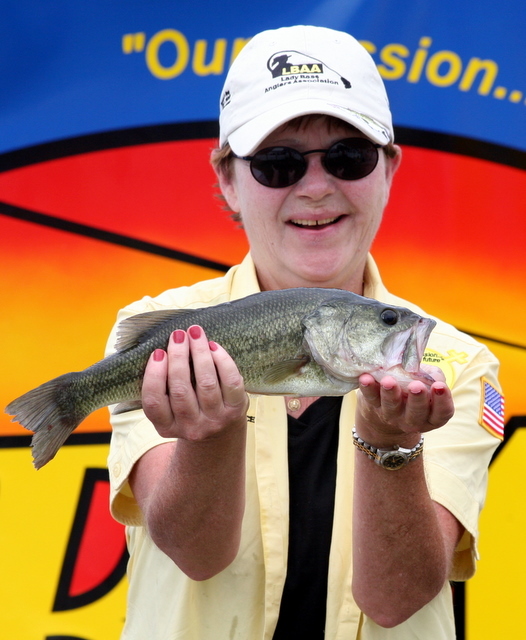 Placing in the top 10, Pam will be heading to Lake Chickamauga, Tennessee, July 26-27 for her next event.